Who’s Finger Prints Are On Your Blueprint? However, after drawing up these plans and models to get a good look at the work, many changes are often made before the work is finished. Many of us have control issues (or is it just me?) when it comes to the blueprints of our own lives. We want God to bless us, love us, and guide us, but how successfully can He guide the way if we are choosing the paths we take? Recently, I have been walking through a particular season with some unexpected challenges that has caused me to make a choice as to what kind of woman I will be, and which path I will follow. The journey of faithfulness is not always an easy one. However, this morning I did what I do every other morning: I had my bible time. This year, I am on a chronological bible reading plan, and have had a greater connection to scripture through it so far. Some mornings, I read just because I know that I should. But this was no ordinary morning. My eyes were opened, my heart was delighted, and my soul was refreshed, because the scripture truly touched my heart and resonated with what I was feeling. “Keep and live out the entire commandment that I’m commanding you today so that you’ll live and prosper and enter and own the land that God promised to your ancestors. Remember every road that God led you on for those forty years in the wilderness, pushing you to your limits, testing you so that he would know what you were made of, whether you would keep his commandments or not. He put you through hard times. He made you go hungry. Then he fed you with manna, something neither you nor your parents knew anything about, so you would learn that men and women don’t live by bread only; we live by every word that comes from God’s mouth. Your clothes didn’t wear out and your feet didn’t blister those forty years. You learned deep in your heart that God disciplines you in the same ways a father disciplines his child. In those verses, Moses is speaking to the people of Israel before they cross the Jordan into the future that awaits them. He is reminding them of God’s commands, because these commands will help them survive. I used to live in the world inside my own head that told me God just didn’t want to bless me. It’s easier when things aren’t going well to blame God, rather than to realize the truth, which is usually one of two things: the imperfect world we live in, or the imperfect choices we make as imperfect people. Unfortunately, life is not always fair and life is definitely not always easy to navigate. Throwing in any extra factors and obstacles only makes it more difficult for us to figure out which road to take. 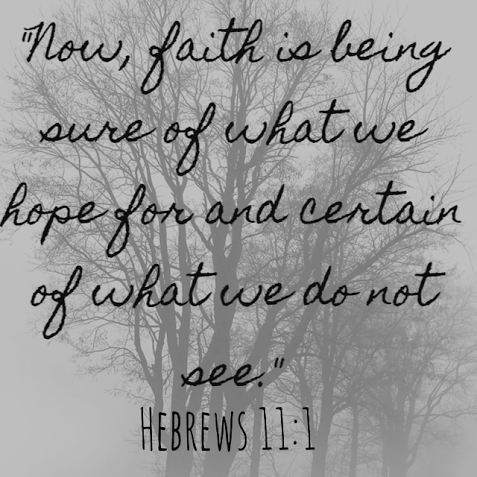 But we have such an amazing tool called faith that can guide us through the darkest of hours. Still, it is no easy task. I have not perfected living by faith, still struggle with it, and may never have it all figured out. But Moses was so right about how listening to God and keeping His commands is key to our survival. Another thing I love about this piece of scripture is that it reminds us that our trials are a learning, growing, training experience. Fun? No. Easy? Not at all. But we are matured and strengthened as women of God when we choose God, choose faith, and choose to follow Him even when life is painful. The truth is, friends, that the closer we get to God’s design, even though it is sometimes a difficult and painful journey, the closer we get to a truly abundant life. Like I said before, I am not telling you all of this because I’ve “got it down.” I am so flawed, and still have so much growing to do. My anxious heart often defaults on fear as if I were programmed that way. But God renews all things, He can even rewire our hearts. He is still doing quite a work in me, and I don’t know what you are going through, but I can promise you that God’s fingerprints are on your blueprint, too. God is creative. He is the ultimate designer. He made you, set plans for your life, and cares about the intricate details. What will you change and alter out of fear? If we truly believe that His ways are better than ours, we need to leave the paintbrush in the hands of the artist. This spoke right to my heart. Thank you for sharing! Amen! My husband and I are at a place of waiting for “the Red Sea” to part 😉 We have been at this place before and in the past my husband said I would run out into the sea before it was parted, or look for broken down trees to make a raft to ‘save ourselves’ but this time I’m peaceful waiting. It is knowing God’s faithfulness that gives us the peace that surpasses understanding….and you know what is happening? God is being glorified as others ‘wonder’ why we are at peace in the midst of such chaos. Thank you for this timely encouragement! Congratulations Rachael And Nathan! You guys make a perfect couple. I am so excited for you guys.